All Metals Recycling on Park St. in Madison is your Recycling Center for everything metal. Family owned and operated for over 30 years, our scrap metal and salvage yard is centrally located, just 6 short blocks north of the Beltline Highway (US 12/18). or any other scrap metal from your home for cash. Our custom recycling package meets the unique needs of your business, while helping you convert your scrap metal into cash and keeping your reputation green for healthy environmental practices. 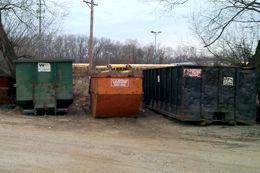 Your custom recycling program can even include dumpster rental and onsite sheering and bailing. Our salvage yard and metal recycling center features a convenient and easy to use drive-on scale that can accurately determine the weight and value of your load so you can be on your way as quickly as possible. 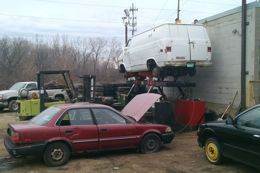 All Metals Recycling is one of the most aggressive auto salvage yards in Madison and surrounding Dane County, offering top dollar and free pickup of your abandoned or junk cars. We also offer onsite car compacting. We offer 4 different sizes of dumpsters for rent, as well as tractor trailers, which can be dropped off and scheduled for pick up at your convenience. 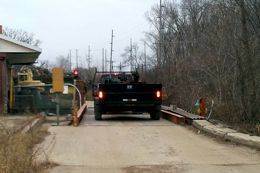 For Dane County construction and other contractors, we can even drop 1 or more dumpsters off at your job sites. 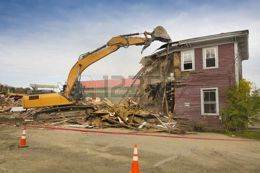 Tearing down a garage, home, manufacturing or commercial structure? All Metals Recycling can provide the manpower, supervision and whatever equipment you need to get the job done quickly and efficiently. Our friendly and courteous staff is always ready to help you drop off and promptly get paid for your metal recycling so you can get back to your life or business. 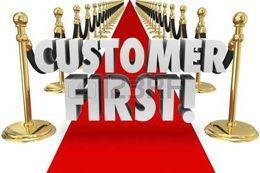 It is our goal to do everything in our power to efficiently and accurately serve each and every customer. Recycling enables a variety of materials to be re-used or re-purposed, enabling YOU to help make a positive impact on the environment as well as provide the following benefits! Extracting metals from ore is extremely energy intensive. Recycling scrap steel uses 75% less energy to process than iron ore. Recycling aluminum uses 95% less energy. Recycling just one aluminum soda can save enough energy to power a 60-watt light bulb for 4 hours! Recycling scrap metal conserves important natural resources including iron ore, coal, limestone, and even water. 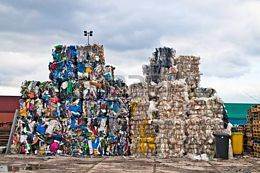 The scrap metal recycling industry diverts 145 million tons of metal from landfills each year. Recycling scrap metal reduces greenhouse gas emissions, noxious emissions, and acid mine drainage (a form of water pollution). So get paid for helping the environment! Contact us or call All Metals Recycling at 608-255-0960 to arrange for your junk car removal or dumpster rental, or for current metal prices and any other questions you may have. We’re here to help! Service Area: Madison, Middleton, Watertown, Waunakee, Monroe, Oregon WI, De Forest, Portage, Milton, Mc Farland, Lodi and surrounding communities. 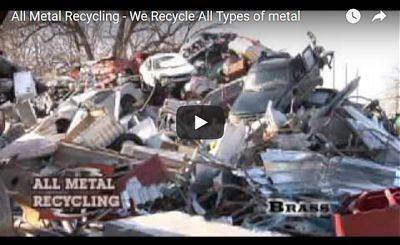 Page Summary: All Metals Recycling is a Madison auto salvage and scrap yard offering cash for junk cars (with free car removal), recycle bins and the best metal prices in Madison and South Central Wisconsin. 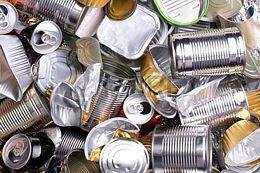 Bring in your aluminum cans, glass and bottles, or call for junk car pick and our car for cash program. Find used and salvage auto and truck parts with our online auto part finder for the cheapest auto parts for Janesville, Middleton, Sun Prairie, Baraboo, Beaver Dam, Watertown, Fort Atkinson, Portage, Stoughton and surrounding Dane County Wisconsin (WI) communities.